^ Ross, James (1970-01-01). Whisky. Routledge. p. 158. ISBN 978-0-7100-6685-5. ^ "Kevin R. Kosar, "What the Tea Party Could Learn from the Whiskey Rebellion", adapted from Kevin R. Kosar, Whiskey: A Global History (London: Reaktion Books, 2010)". 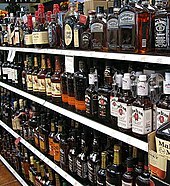 Alcoholreviews.com. 2010-11-12. Retrieved 15 April 2013. ^ Stone, Jason (July 18, 2012). "Whiskey 101". 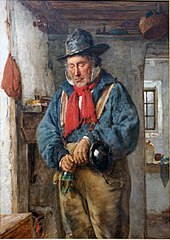 The Whiskey Still Company. Retrieved July 14, 2017. ^ The Whisky Barrel (2011-09-12). 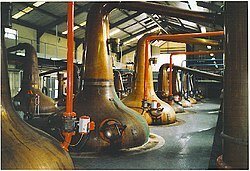 "Scotch Whisky Exports & Visitor Numbers Soar". Archived from the original on 19 October 2013. Retrieved 12 June 2013. 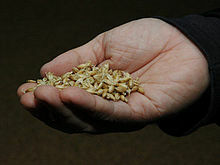 ^ "Meet Italy's whisky pioneers | Scotch Whisky". 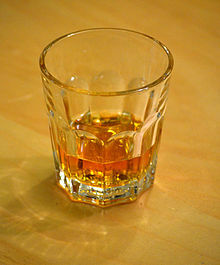 scotchwhisky.com. Retrieved 2018-12-06. ^ "Puni". 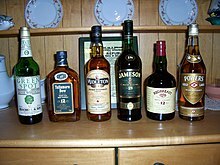 Whiskybase.com. Retrieved 2018-12-05. ^ "Best Italian Single Malt Whisky – PUNI / NOVA – World Whisky awards 2016". 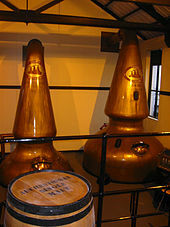 www.worldwhiskiesawards.com. Retrieved 2018-12-06. ^ a b Cole, V. C.; Noble, A. C. (1995-01-01). Lea, A. G. H.; Piggott, J. R., eds. Fermented Beverage Production. Springer US. pp. 361–385. doi:10.1007/978-1-4757-5214-4_14. ISBN 9781475752168. ^ Grush, Loren (2015-09-10). "Whiskey aged in space tastes like throat lozenges and rubbery smoke". The Verge. Retrieved 2016-05-24.